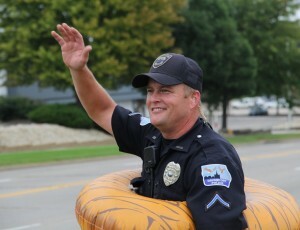 Dunkin’ Donuts became a Premier Statewide Partner for Special Olympics Iowa in 2018 after a successful Cop on a Rooftop® fundraising event that raised over $30,000. 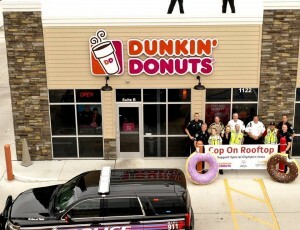 Each year, law enforcement stake out on the rooftops and drive-thrus of their local Dunkin’ Donuts and ask for donations for Special Olympics Iowa. Individuals receive a free medium iced/hot coffee coupon with a donation.